Indian Khana, Made Easy: Turning Up The Heat with Chili Poppers!! You know what I miss most about "my India". The street food. And I don't mean like lamb brains or anything weird, like what you see on the travel shows. I'm referring to snacks like bhel puri, aloo tikki chaat, aloo papadi chaat, samosa chaat, and one of my favorites: chili poppers also known as chili pakora. 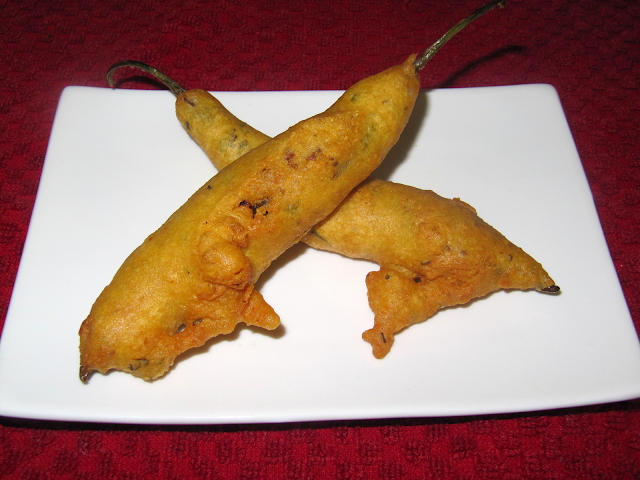 The chili poppers are made with long green chili peppers, which are usually stuffed with masala and batter fried. As a kid, I used to love eating the fried batter part since the peppers were too spicy for me. But now I'm all grown up and I love eating every bit of the popper including the pepper. Woohoo, I've matured and figured out the best part of this snack. Either that or my mom figured out a way to get me to eat the peppers with her winning recipe. Isn't my mom the bestest!! For my recent birthday, she made these chili poppers and I ate like 10 of them in one sitting. They were that good! Heat Seekers, come thither and try these spicy chili poppers...if you have what it takes!! 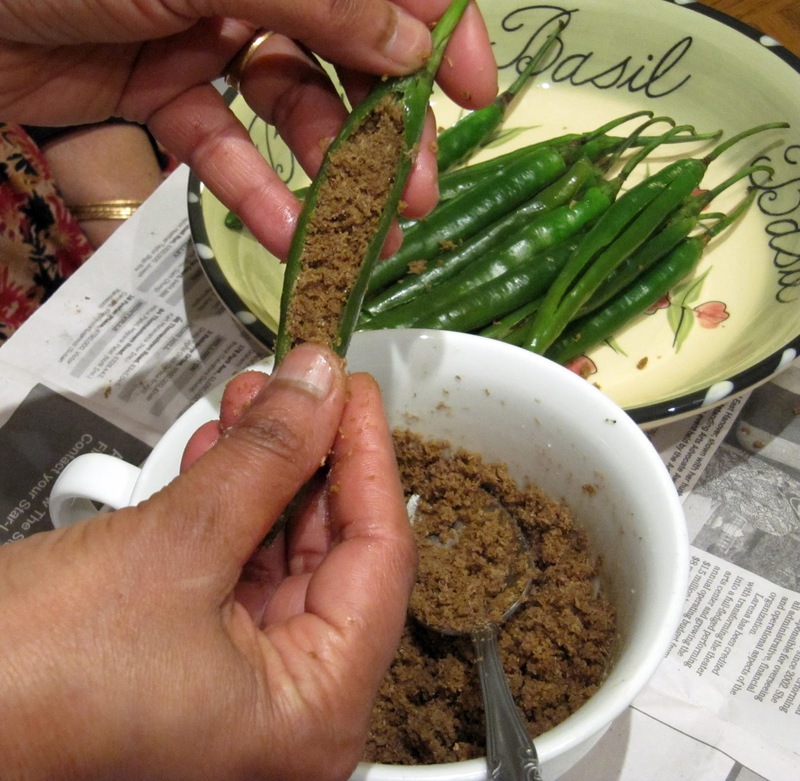 Make a slit into the green chilies length wise and carefully remove all the seeds. (Making sure not to cut till the very end.) Boil water in a big pot sufficient enough for you to dip the chilies into the water and remove from heat. Close the pot with a lid and allow it to stand for 10 minutes. Drain the chilies, making sure to remove all water. 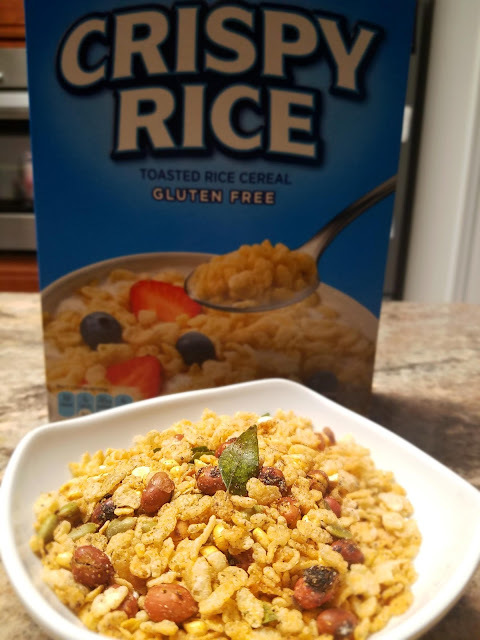 In a microwaveable bowl, measure out the dry coconut powder, add some water to moisten it and heat it with closed lid for 30-40 seconds. 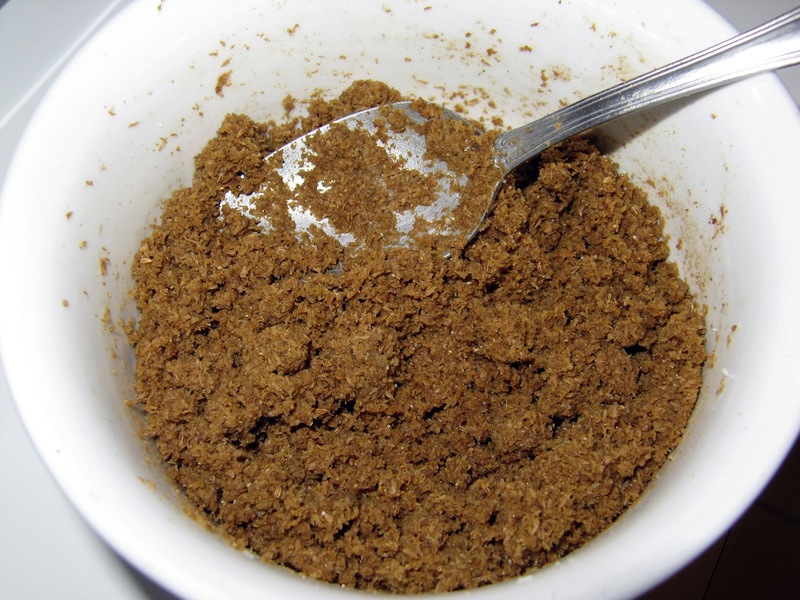 Remove from microwave and then mix it together with dhanjeera powder, tamarind paste and salt. Take a teaspoon full of the mixture and stuff it into the chilies. Make sure not to over stuff them. (Hint: You should be able to close the slit once stuffed with masala.) In a medium sized bowl, mix all the dry ingredients for the batter and add water to make it into a pancake mix like consistency. Allow the batter to soak for at least 10-15 minutes. Heat oil in a frying pan. When you feel the heat from the oil on your palm from above the pan, you are ready for frying. Take each stuffed chili pepper, dip into the batter and coat it completely. Then slowly drop each one into the hot oil. Fry them until golden brown by turning each one over for even frying. You are now ready to enjoy these spicy poppers. Kick it up a notch by slitting them open and stuffing them with finely chopped onions and a few drops of lime juice. They are sure to hit any one's spicy spot! Enjoy with a nice cold one!! - For all you Serious Heat Seekers, go ahead and leave the seeds in for a spicier kick.